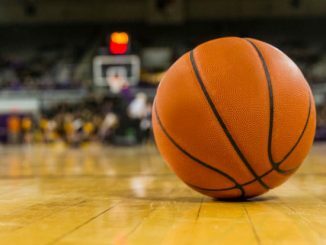 On Wednesday night, the Marquette Golden Eagles and the second-ranked Kansas Jayhawks face off in the semifinals of the preseason NIT tournament at the Barclay’s Center in Brooklyn. Kansas enters the game undefeated early in this season, and Marquette comes in with only a single blemish on their season. Marquette has enjoyed success in three of their four games to start the season with easy victories over UMBC, Bethune-Cookman, and Presbyterian. These three wins did not prove much as the Eagles were expected to win handily. They also have been battle tested in their other game of the season, and they failed miserably. Marquette endured a 23-point loss to the hands of the Indiana Hoosiers in their third game of the season. In that game, they got 18 points each from the trio of Markus Howard, Sam Hauser, and Joey Hauser. Kansas has also had a successful beginning to their campaign, coming in with a 3-0 record and notching an impressive victory against the Michigan State Spartans in their season opener, who were then ranked number 10 in the nation. Kansas’ other two games were against lesser opponents. They struggled at times in both of these home games, against Vermont and Louisiana Lafayette. In their most recent game, they received 33 points from Lagerald Vick, who nailed seven three-pointers and brought down a team-high nine rebounds. Marquette’s success this year will rely heavily on the play of their point guard Markus Howard. Howard is averaging 20 points per game and 5.5 assists per game thus far, and the Golden Eagles will need more than that if they are to knock of the second-ranked Jayhawks. They can expect to get help from Sam and Joey Hauser, who will both be able to stretch the court and contribute inside and outside. Outside of this trio, Marquette will need someone to step up big time and pour in some points to keep up with the high-scoring Jayhawks. Kansas came into the year as the number one ranked team in the country. They did nothing wrong to be bumped down a spot to number two; Duke just did everything right. 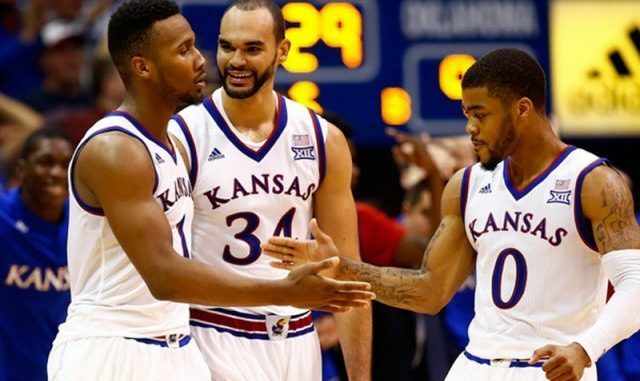 Kansas is set up nicely to win yet another Big 12 title as they return two key pieces from last year’s squad in Udoka Azubuike and Lagerald Vick. The Jayhawks also get a huge boost in picking up transfer Dedrick Lawson. Two freshmen round out the starting five for the Jayhawks: sharpshooting Quentin Grimes, the tenth-ranked recruit in the nation went 6 for 10 from three-point range in the opener, and Devan Dotson, who will be known more for his defensive prowess on the perimeter this season. Kansas comes in at -8.5. The size and strength of Azubuike and Lawson down low will be too much for Marquette to handle. Markus Howard will have trouble scoring against Kansas’ length, and the depth will help the Jayhawks maintain a strong lead throughout the ballgame. Kansas wins by double digits in Brooklyn.